Ever since its formation in 1991 Ensemble musikFabrik has had the reputation of being one of the leading ensembles for contemporary music. Following the literal meaning of its name, Ensemble musikFabrik is particularly dedicated to artistic innovation. New, unknown, and often personally commissioned works in an unusual media are typical of their productions. The results of their extensive work, that usually takes place in close collaboration with the composers, is presented by the Cologne-based international soloist ensemble in over 100 concerts a year in both Germany and abroad, at Festivals, in their own series “musikFabrik in WDR” and in regular radio recordings and CD productions. The musicians themselves take the responsibility for making all-important decisions. Exploring the capabilities of modern communication forms, and new possibilities for expression in musical and theatrical areas, are a focal point. Interdisciplinary projects that can include live electronics, dance, theatre, film, literature and creative artists, along with chamber music, and the confrontation with works using open form and improvisation, extend the traditional conducted ensemble concerts. Discussion concerts and the experimentation with alternative concert forms involving audience participation are also part of this. Thanks to its extraordinary profile, and its superb artistic quality, the Ensemble musikFabrik is sought after world wide and is a trusted partner of renowned composers and conductors. "@Colston_Hall: @musikfabrik are taking over the @BBCRadio3 airwaves tonight from 10pm with a recording of Colston Hall show" LISTEN! 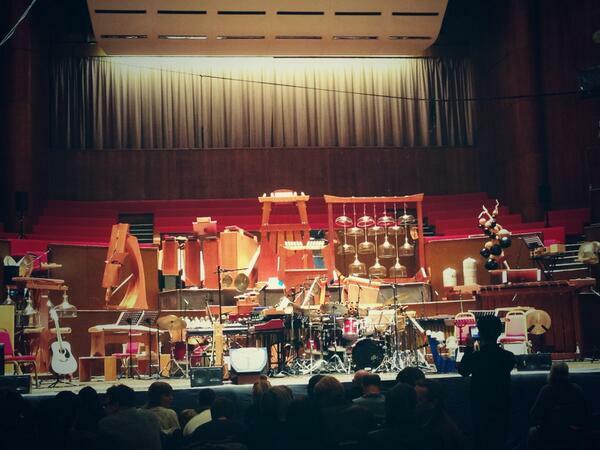 RT @nikkicassidy: @musikFabrik performing Partch and Zappa yesterday @Colston_Hall as part of #bristolnewmusic Best gig of my life! 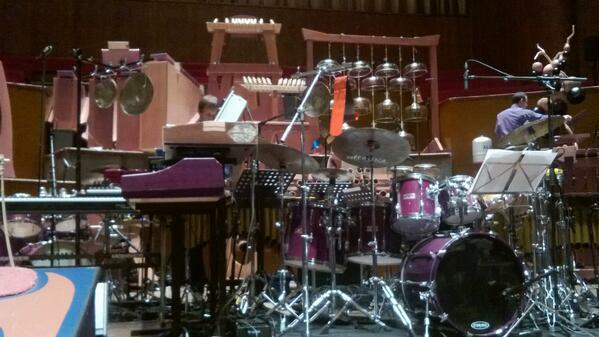 @musikFabrik performing Partch and Zappa yesterday @Colston_Hall as part of #bristolnewmusic Best gig of my life! @musikFabrik Thank you for one of the best concerts I have ever experienced @Colston_Hall #BristolNewMusic - well deserved standing ovation!
. @Opus13Music @Colston_Hall @musikFabrik those massive sub-bass wooden bars were so low + loud they made my eyes go weird... in a good way!